FarFish is based on a concept that can be broken into three interlinking parts, where the part 1 will advance knowledge on biological, ecological, economic and social factors relevant to EU fisheries in the case studies. While part 2 will provide guidelines for making management plan recommendations for EU fleets fishing in Sustainable Fisheries Partnership Agreements and international waters. The guidelines will be tested and validated through development of tailor-made management plan recommendations for case studies in close collaboration with stakeholders. The development of the management plan recommendations will be supported by Decision Support Tools. The applicability of the management plan recommendations will be evaluated according to a framework that will also be developed within FarFish. Lastly, part 3 will be devoted to dissemination, knowledge transfer and capacity building amongst different stakeholders within and affected by the EU fisheries in Sustainable Fisheries Partnership Agreements and international waters. The six case studies, which have been selected to represent a cross-section of EU fisheries in SFPA and international waters, will be analysed with respect to biological, ecological, technological, economic, political, legal and social considerations. This will include compilation and thorough analysis of biological and ecological data that exists on these stocks in various forms and on different platforms, as well as data on catch, by-catch and discards. This will be done through collaboration between stakeholders, scientists, institutes and organisations that are partners in FarFish, or have already committed to contribute to the project or will be identified during the project period. FarFish will compile series of data from these case studies which have not been fully utilized for stock assessment and decision making. 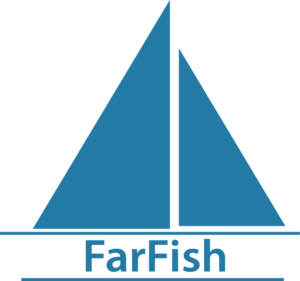 In order to eliminate identified knowledge gaps, FarFish will also develop innovative methods to collect and utilize new data. Current stock assessment methods and their applicability will be evaluated based on the collected data and new and improved stock assessment models will be developed, taking illegal, unreported and unregulated fisheries issues into account where possible. A detailed analysis of respective value chains will be performed and available infrastructure in the Sustainable Fisheries Partnership Agreements countries and other coastal states will be examined, with respect to their ability to manage these fisheries, perform monitoring, control and surveillance and tackle illegal, unreported and unregulated fisheries. Opportunities for the EU fleet to invest in processing in these countries will also be evaluated and FarFish will build on previous work regarding the key issues relevant for this analysis. The outcome of this work will be input to the management plan recommendations development and implementation work in the case studies and will also produce recommendations on how to improve the value chains and infrastructures. A key component of FarFish will be the development of general guidelines for making management plan recommendations for EU distant water fleets fishing in Sustainable Fisheries Partnership Agreements and international waters. These guidelines will be tested and validated through the development of tailor-made management plan recommendations for each case studies. These management plan recommendations and the guidelines will be founded on the Responsive Fisheries Management System which was developed in the FP7 project Responsive Fisheries Management System is based on Results-Based Management principles and is an ecosystem-based sustainable management system under a precautionary framework that will define the maximum acceptable impact, approaches for elimination of discards, collect and expand on fisheries-related data, and maintain economic and social viability. Responsive Fisheries Management System is a well-documented and well-proven procedure for engaging all relevant participants in the bottom-up formulation of management plan recommendations, ensuring stakeholder buy-in and avoiding micro-management. It involves three agents: a) The authorities that establish “outcome targets” and approve/reject/revise the management plan recommendations, b) the operators, who in cooperation with scientific experts and other stakeholders will develop management plan recommendations based on outcome targets set by the authorities, and finally, c) the auditors, who evaluate the management plan recommendations and audit their performance. Management tools will be developed to support the stakeholders in the decision-making process and for evaluation of performances. The term “implementation” of the system used within the proposal means that actual stakeholder groups, operators, authorities and potential auditors will develop all of the components of the Responsive Fisheries Management System. Operators will also to some extent collect the required data according to an agreed “certified documentation system”. Actual uptake of the system and documentation of its success can however not realistically be promised, but will have to be simulated using models and other available tools. Building strong relationships and working to create capacity, both within the EU and in partner countries abroad, is a key component to the success of the FarFish project. FarFish will place emphasis on building fisheries management competences amongst stakeholders, both within the EU and in partner countries. This will be done through a series of university-level training and educational activities on fisheries science and management focusing on data-poor fisheries. Specific training needs will be identified and mutually agreed upon by partners. Through a comprehensive combination of proven knowledge sharing solutions including, but not limited to, in-country workshops, longer-term training programmes in Europe, webinars, a statistics-focused package through Tutor-web, and ‘education in a suitcase’. Training activities will be based on training needs assessments. Capacity building activities will be on multiple levels targeting decision makers, vessel owners, fishermen, processors, politicians, NGOs and students. Both type of activities will be custom-designed to meet unique challenges in the case study countries.